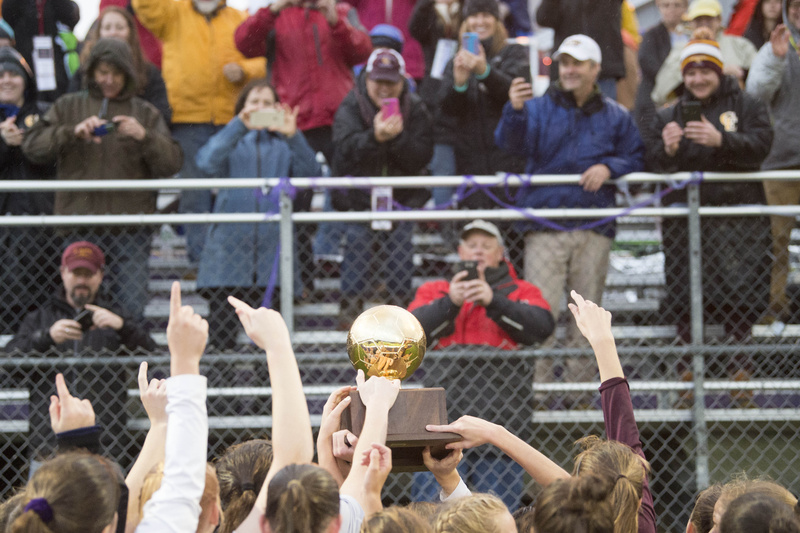 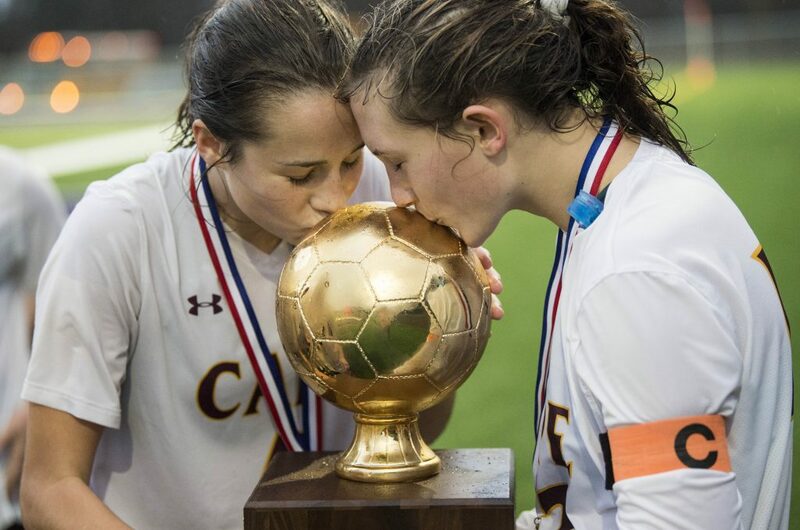 Cape Elizabeth's Olivia Cochran, left, and Grace Gillian kiss the championship trophy after the Capers beat Presque Isle 2-1 in overtime to win the Class B girls' soccer state title on Saturday at Hampden Academy. 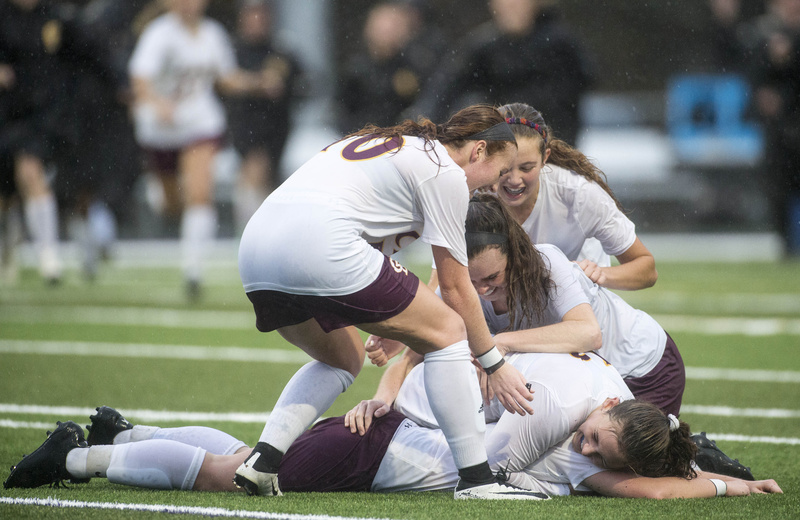 Karli Chapin is smothered by her Cape Elizabeth teammates after scoring the winning goal in overtime to lift the Capers to a 2-1 win over Presque Isle in the Class B girls' soccer state championship game on Saturday at Hampden Academy. 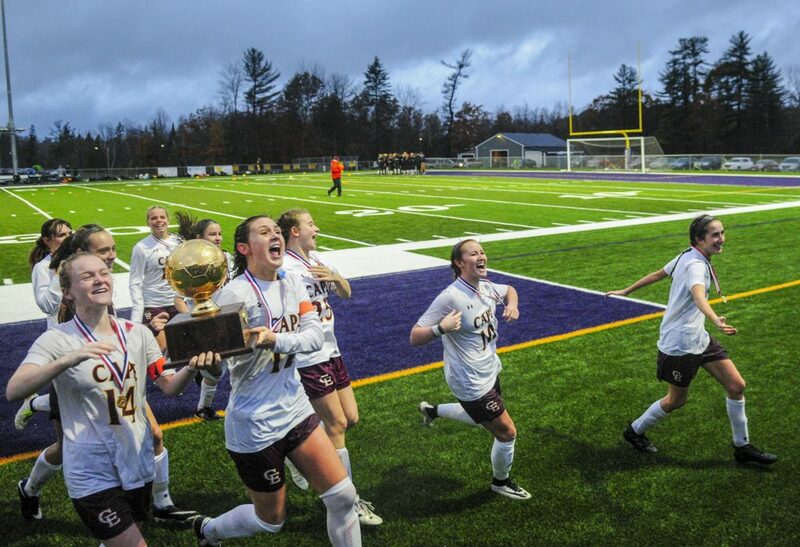 The Cape Elizabeth girls' soccer team celebrates after beating Presque Isle 2-1 in overtime in the Class B state championship game on Saturday at Hampden Academy. 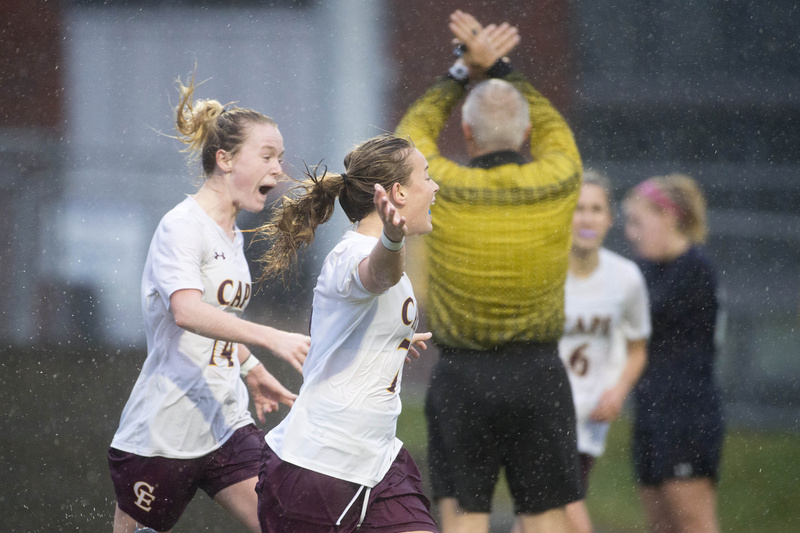 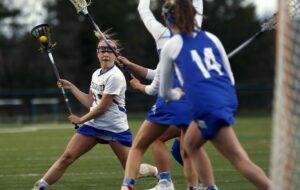 Cape Elizabeth's Karli Chapin, 7, celebrates after scoring the winning goal in overtime to give the Capers a 2-1 win over Presque Isle in the Class B state title game Saturday at Hampden Academy. 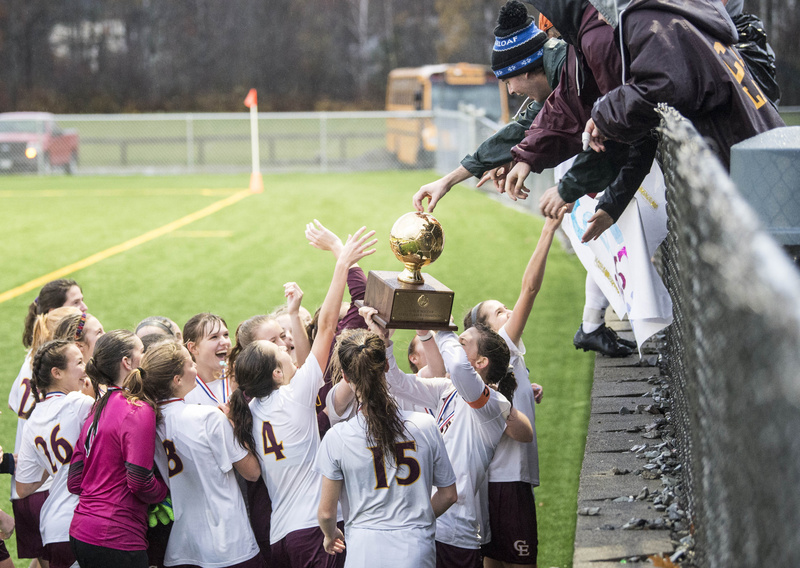 Cape Elizabeth's Prezli Piscopo raises her arms in celebration after the Capers beat Presque Isle 2-1 in overtime in the Class B girls' soccer state championship game Saturday at Hampden Academy. 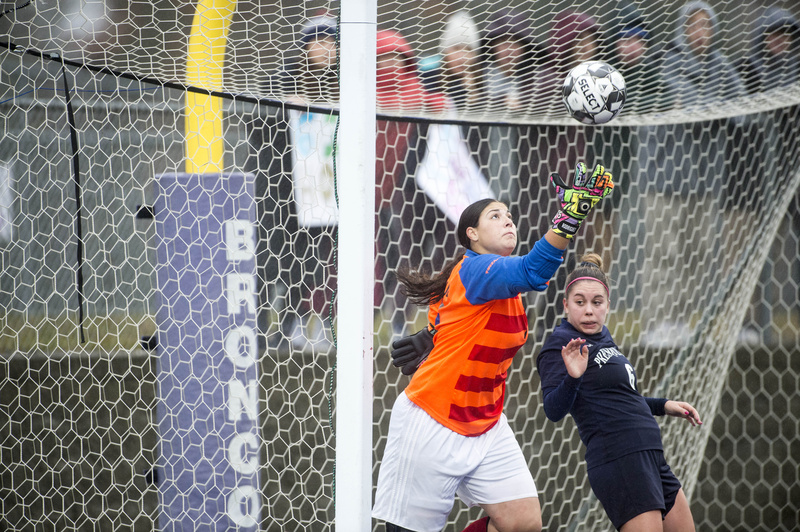 Presque Isle goalie Savannah Rodriguez makes a save with the tips of her fingers over the shoulder of teammate Charlotte Carrier during the Class B girls soccer state championship game Saturday at Hampden Academy. 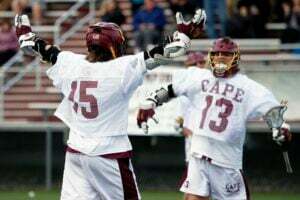 Cape Elizabeth won 2-1. 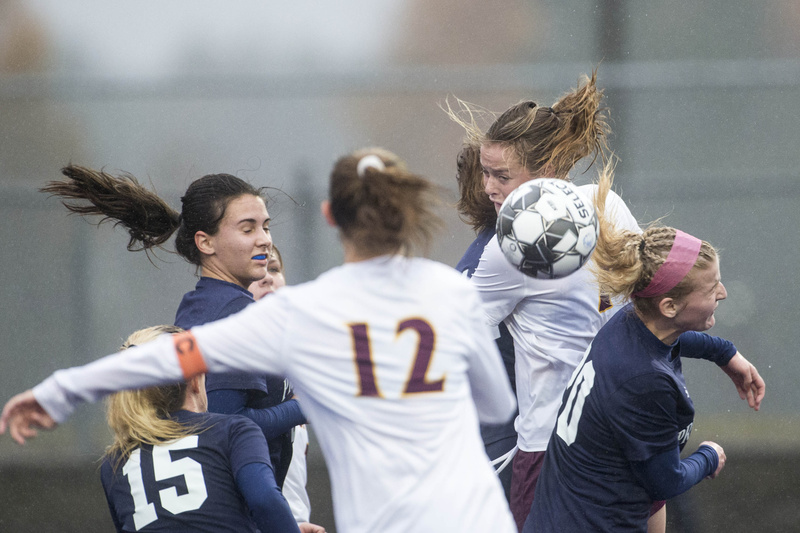 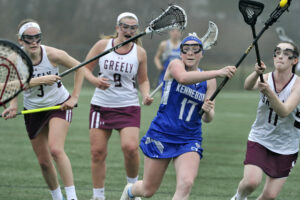 Cape Elizabeth's Karli Chapin, top center, elevates over everyone including Presque Isle's Paige McHatten on a corner kick in the Class B girls' soccer state championship game Saturday at Hampden Academy. 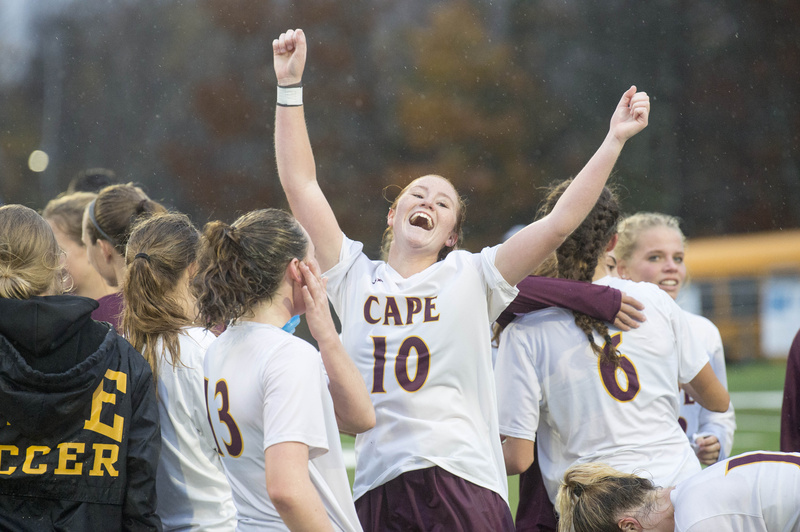 Cape Elizabeth won the title with a 2-1 win in overtime. 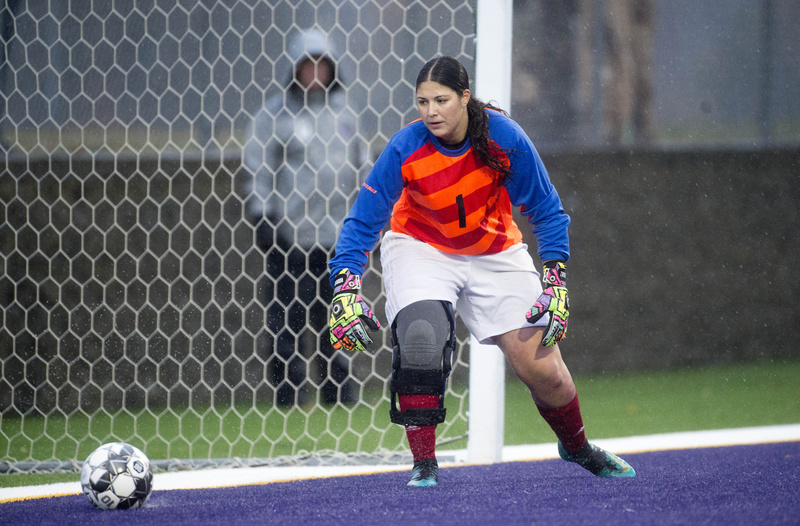 Presque Isle goalie Savannah Rodriguez watches the winning goal roll by her in overtime against Cape Elizabeth in the Class B girls' soccer state championship game Saturday at Hampden Academy. 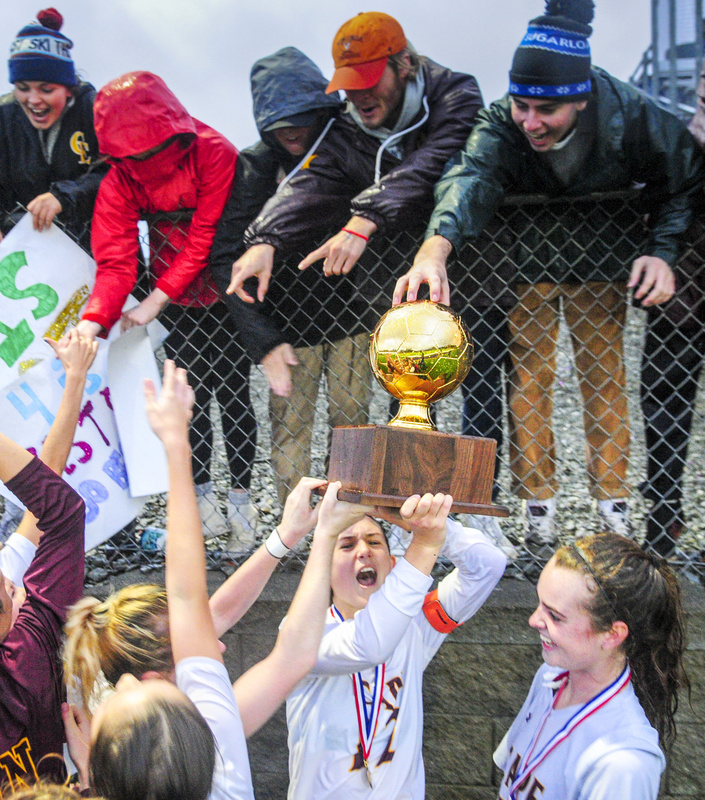  The Capers won 2-1 in overtime.